We are of the opinion that, as the complaint was a private complaint, great care, caution and proper application of mind was necessary, particularly having regard to the uneasy relationship between the then Chief Minister (the petitioner) and the then Governor, the bench said. Relief for Former Chief Minister of Karnataka, B.S. Yeddyurappa as High Court set aside, the order of sanction for prosecuting him. Partly allowing the Writ petition moved by the former CM, a bench of Acting Chief Justice Subro Kamal Mukherjee and Justice Vineet Saran has remitted the matter back to His Excellency the Governor for re-consideration. 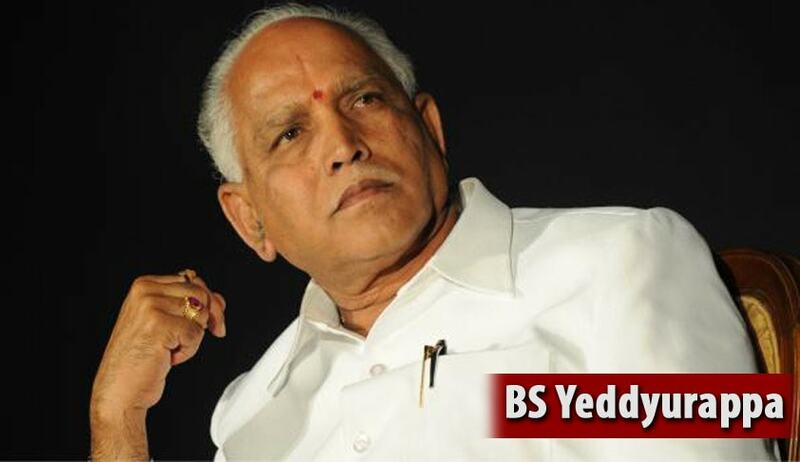 B.S Yeddyurappa had challenged before the High Court the legality of the sanction order dated January 21, 2011 issued by His Excellency the Governor of Karnataka, by which the Governer had on the petitions by complainants, namely, Sirajin Basha and K.N.Balaraj, accorded sanction under sub-section (1) of Section 19 of the Prevention of Corruption Act, 1988, and under Section 197 of the Code of Criminal Procedure, 1973, to prosecute the then Chief minister for the alleged offence under Section 405 of the Indian Penal Code, and Section 13(1)(d) and Section 13(1)(e) of the Prevention of Corruption Act, 1988. The former CM contended that that there was no material before the Governor to show that denotification of acquisition of land was for his benefit, as no property was entrusted to him and, thus, no offence can be said to have been made out under Section 405 of the Indian Penal Code, for which sanction has been accorded. He also submitted that the denotification orders have not been set aside, or even stayed by any court of law. Rejecting the contention sans maintainability of the writ petition, the court said that that High Court rejecting the revisional application seeking stay of the cases filed pursuant to the order of sanction is not operating as res judicata in considering these writ petitions as the prayers are not identical. The court also rejected the contention that the legality of sanction could not be challenged at this stage, the bench said that that this is not a case where the accused failed to raise the question of valid sanction, but had raised a serious doubt about the legality of the said sanction order. Non-consideration of the relevant matters made the order of sanction illegal and resulted in failure of justice. We are thus of the opinion that the exercise of power by the Governor was not in accordance with well settled principles for sanctioning prosecution. The Court also observed that, as the complaint was a private complaint, great care, caution and proper application of mind was necessary, particularly taking into account the uneasy relationship between the then Chief Minister and the then Governor. With respect, the caution that ought to have been exercised is absent in this case, the bench said. The court also observed that the Governor has quoted the complaint in detail in his order of sanction, but there is no finding as to why he has accorded sanction in favour of the prosecution. No reason was cited as to why he was according sanction when his Council of Ministers have, already, appointed on December 22, 2010, Hon'ble Justice B.Padmaraj as one-man Commission to look into various irregularities in denotification of lands, the court said.